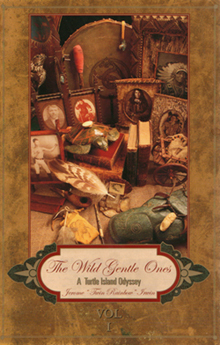 The Wild Gentle Ones tale turns on a fascinating array of encounters with: the land and life of the author's Countae Mhaigh Eo-Southern Tyrolean ancestry; his birthplace in Leadville, Colorado; mystical childhood moments spent in San Francisco; youthful vision-questing experiences with the San Bruno Mountains of Northern California; followed by otherworldly relationships with Sioux elders in South Dakota; and a sequel that includes a decades long pilgrimage to First Nation/Native American gatherings and sacred spots in Canada and the United States. Each of the journal's eleven road sign questions provides ten pages for the journal-keeper to include a favorite literary epigraph, musical epigram and personal notes that relate to their life's unique odyssey. In keeping with Turtle Island oral tradition, this 90 minute 'Living History' CD is an ethno-musicology extension of Volumes I and II of The Wild Gentle Ones; A Turtle Island Odyssey by Jerome 'Twin Rainbow' Irwin. Each roadside chapter of the Wild Gentle Ones is represented by 4 to 6 minutes of related oral tradition that includes a literary epigraph and musical epigram. 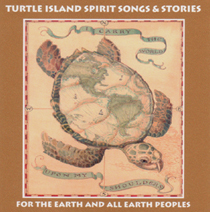 Selected pieces of prose, poetry, songs, chants, nature and animal sounds will evoke within the listener an even-deeper appreciation of ancient Turtle Island philosophy and spirituality. 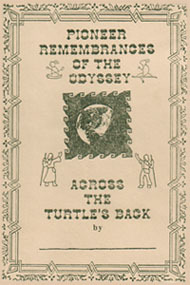 Each selection will aid the listener in setting out upon their own personal Turtle Island odyssey full of wonderment, awe, sacredness, unity and oneness with all of Life.